Almost every other clean technology has gotten a boost from the Federal Government in the form of a Tax Credit. Most notably the Energy Policy Act of 2005 established a 30% federal tax credit for solar-electric systems, solar water heating systems and fuel cells. The Energy Improvement and Extension Act of 2008 further extended this tax credit to small wind-energy systems and geothermal heat pumps. 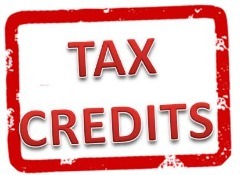 And this tax credit is still in efect until December of 2016. This equates to 11 years of government subsidy from 2006-2016. Rainwater Harvesting on the other hand, has received nothing from the Federal Government- just local initiatives like rain barrel giveaways and an occasional rebate on an RWH system. Given the drought that is currently facing much of this country, you would think the Fed would come to realize that we need a national Water Policy just as much as we need one for Energy. Just as our Energy Policy is targeted at helping us reduce our reliance our foreign sources and create more self sufficiency at the residential level, a Water Policy would promote self-reliance in Water for the home. A Federal Tax Credit for rainwater harvesting systems and all other water saving technologies would be one way to implement such a policy.